I’m not sure how much coverage the news in the States has given to Spain and its political situation recently, but there has been some very important stuff going on here. On Sunday October 1st, there was a referendum in the Catalonia region (northern area) of Spain. Those who live in the Catalan region and who are 18 years or older were eligible to vote. The voting to make the Catalonia region independent is technically illegal according to the Spanish Constitution, so the police have made efforts to stop the campaigning and voting. I have been watching the news with my señora during lunch and dinner and there has been lots of footage of demonstrations and protests in Barcelona. Some have become confrontational and escalated into violence between the opposing sides. Even though the voting already happened, protests and strikes still continue, which are being monitored by the police force. Another important event happened on October 1st, which may seem irrelevant, but is actually the opposite: the Barcelona and Las Palmas soccer game. This wasn’t a typical soccer game because it was played behind closed doors due to the political tension in Barcelona. There was no audience, no fans allowed inside. The Referendum and its effects have been a discussion topic in many of my classes. In my Anthropology of Sports class, we talked about what would happen to Catalonian athletes such as Gerard Pique who publicly support the independence of Catalan. If Catalan does not become independent, will he be able to continue to play for the Barcelona soccer team? Will he be eligible to compete in the Olympics for Spain? All interesting questions, but they remain unanswered until the final decision of Catalan’s independence is reached. 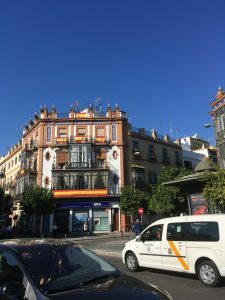 Even though the Referendum is happening in the northern Catalan region and I am studying in the southern Andalusian region, there have been some effects in Seville. 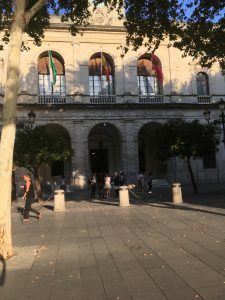 There have been peaceful demonstrations in front of the ayuntamiento (city hall) related to the Referendum. 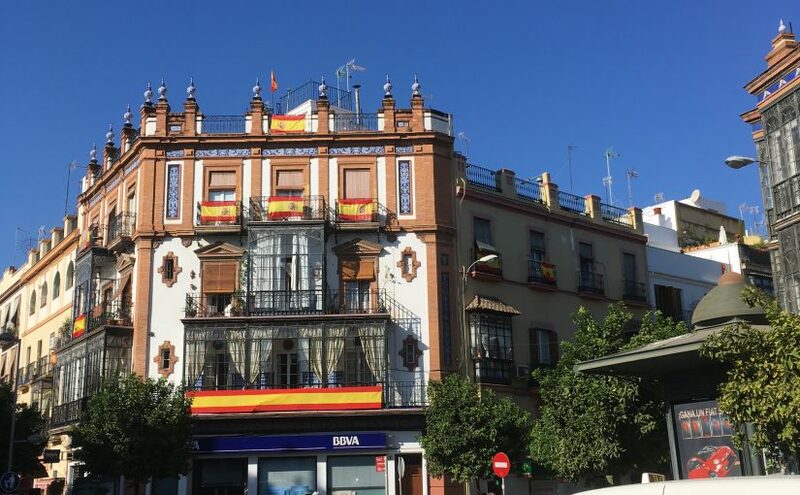 Numerous houses have hung the flag of Spain on their balconies to show they support the unity of Spain. 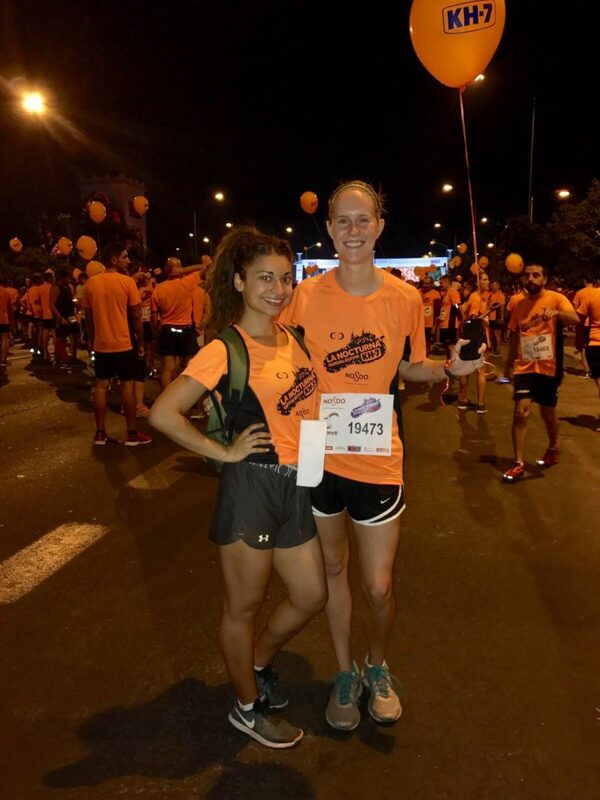 There were even signs of political opinions during the Carrera Nocturna del Río Guadalquivir (night race by the river), which I had the amazing opportunity to participate in. There were over 24,000 runners and the entire race had a positive and fun atmosphere! Spectators encouraged the runners cheering “Vamos, vamos! Ánimo!”, there was live music, and some participants dressed up in costumes. 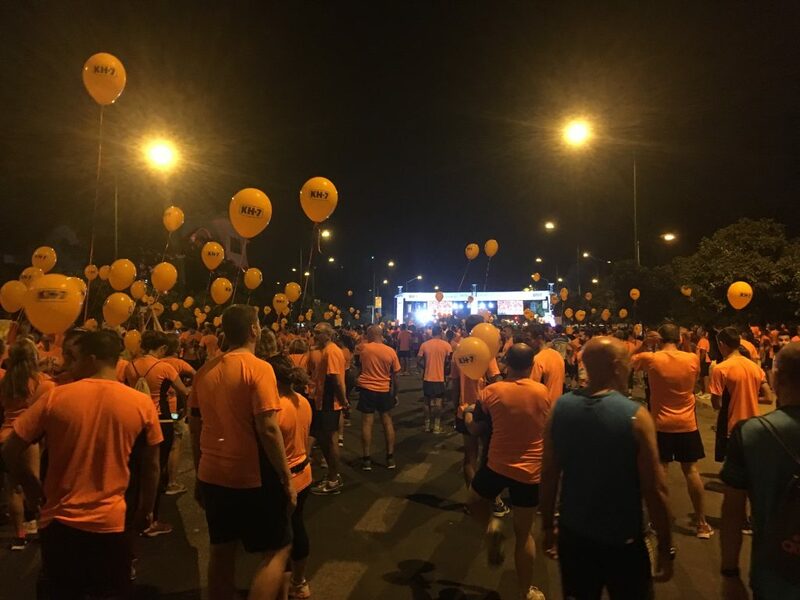 There were a few groups of runners who proudly ran with the Spanish flag chanting “Yo soy español” which most likely signified that they disagree with the independence of Catalan and support the unity of Spain. President Mariano Rajoy, King Felipe VI, along with other political leaders have made public announcements addressing the independence movement. We were told that the final decision of Catalan’s independence would be announced Monday, October 9th, but has been rescheduled to Tuesday, October 10th (because it’s Spain and everything is on European time, which means life moves at a slower pace than the United States). So, make sure to check the news to see what happens/ed!